Tama Electric is currently advertising three Lightning-to-headphone adapters, two of which also include a micro USB port for charging while using headphones. The dongles were first spotted by Macotakara. 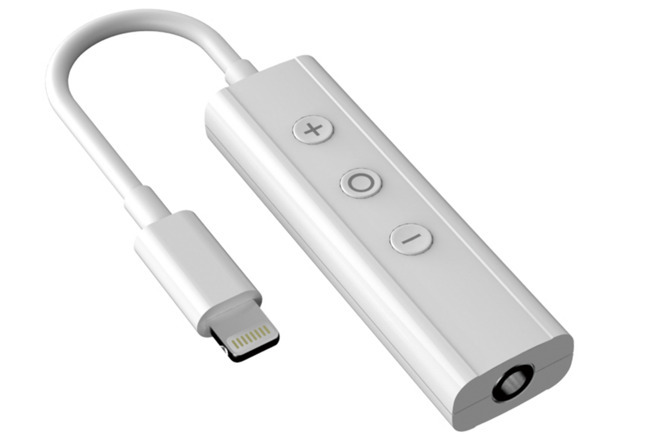 There are a handful of Lightning-connected headphones currently available on the market, but Lightning-to-3.5mm headphone adapters are not yet sold as certified Made for iPhone accessories. Presumably, if the "iPhone 7" does ditch the headphone jack as rumored, Apple or authorized accessory makers will need to offer some form of adapter for legacy headphones. The new accessories from Tama do not appear to be available for purchase yet, with no price listed. As such, the products may simply be mockups or concepts, and they most likely are not Made for iPhone certified through Apple. Rumors about Apple's anticipated iPhone refresh have consistently claimed that the 2016 model will ditch the 3.5-millimeter headphone jack, allowing for a design that could be the thinnest ever. Eliminating the headphone port would leave customers relying on either wireless Bluetooth headphones, or Lightning-connected headphones —with or without an adapter. Apple is rumored to be working on new Bluetooth EarPods that will pair and charge with a handset through the Lightning port, just like the Apple Pencil does with the iPad Pro. It's expected that those headphones will be sold separately, with a traditional pair of EarPods —wired via Lightning— shipping in the box with the next iPhone.